Dontnod Entertainment's new action RPG Vampyr today unveils a new cinematic trailer depicting the legends and tales of its mysterious protagonist, Dr Jonathan Reid. Set in 1918 London during a deadly bout of the Spanish Flu that left London's alleys and promenade's wailing in agony, Dr Reid awakes having arrived home from serving in the Great War with a deathly new ailment: vampirism. A Doctor, Reid considers his affliction another disease. As he tries to understand and to live with it, he desperately tries to continue his life as a doctor, helping those stricken with flu. Watch today's trailer to hear whispers in the night from Vampyr's many citizens - each with their own names, back stories, and daily lives. When Vampyr releases in 2017 on PS4, Xbox One, and PC, it will be you who decides whether to shrug off his ghoulish reputation, or lay waste to London's already troubled streets. 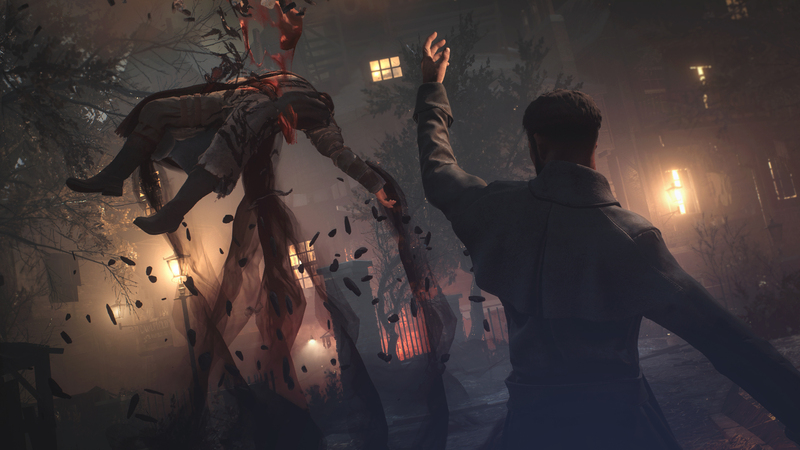 In Vampyr, every citizen killed will affect London's safety. From shop closures to missing kin, the act of killing is unavoidable, but who you kill, and how, is in your hands. Every civilian can be killed, or saved - but as hordes of vampire hunters prowl the streets, growing strong on the blood of the weak will be ever more tempting. Embrace the legend in Vampyr, coming 2017 to PS4, Xbox One, and PC.